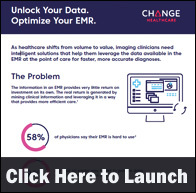 As healthcare shifts from volume to value, imaging clinicians need intelligent solutions that help them leverage the data available in the EMR at the point of care for faster, more accurate diagnoses, according to a new infographic by Change Healthcare. 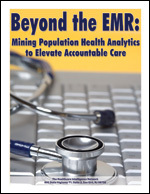 The infographic examines how to mine clinical information and leverage it in a way that provides more efficient care. Shared infrastructure for information exchange via a blockchain in healthcare can eliminate duplication of healthcare services among treating physicians and improve care coordination, according to a new infographic by Gem. The infographic demonstrates how the blockchain is used as a common registry for medical records between providers. 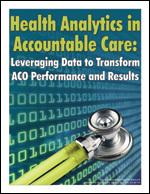 Analytics is clearly a top priority for healthcare decision-makers. In fact, according to CDW Healthcare’s recent Analytics in Healthcare Report, two-thirds of these decision makers say analytics is a top three priority — and for good reason. With the influx of data from electronic health records and health information exchanges, the healthcare industry is poised to see big benefits from clinical analytics. A new infographic by CDW Healthcare looks at the demographic make-up of organizations using analytics, successful treatments based on analytical data, possible complications from using data analytics and where healthcare organizations expect to spend their analytics budget. Healthcare organizations use a range of tools and practices to identify and stratify high-risk, high-cost patients and determine appropriate interventions. Most critical to the stratification process is clinical patient data, say an overwhelming 87 percent of respondents to the Healthcare Intelligence Network’s (HIN) inaugural survey on Stratifying High-Risk Patients. 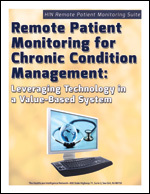 However, obtaining and verifying patient data remain major challenges for many respondents. Following are 10 more statistics from our survey. Hospital readmissions is the metric most favorably impacted by risk stratification tools, according to a majority of respondents. In addition to high utilization, clinical diagnosis is considered a key factor in stratifying high-risk patients, according to 16 percent of respondents. Case management as a post-stratification intervention is offered by 83 percent of respondents; health coaching by 56 percent. Reducing heart failure (HF), pneumonia (PN), and atrial myocardial infarction (AMI) are among the greatest successes of risk stratification programs. Diabetes is considered the prominent health condition among high-risk populations, according to 37 percent of respondents; other prominent conditions include hypertension (20 percent) and mental health/psychological issues (15 percent). Physician referrals are cited by 76 percent of respondents as an important input for stratification, followed by case/care manager referrals (71 percent). Home health and/or home visits are available to risk-stratified populations of 56 percent of respondents. LACE (Length of stay, Acute admission, Charleston Comorbidity score, ED visits) is considered the primary indice and screen to assess health risk, according to 33 percent of respondents. Nearly half of respondents (45 percent) cite high utilization of the emergency department (ED) or hospital as the most critical attribute of high-risk patients. While more than half of respondents have a program in place to identify and risk-stratify complex cases, the majority admit it is too early to tell the ROI achieved. 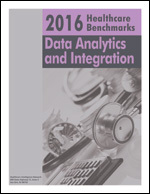 2014 Healthcare Benchmarks: Stratifying High-Risk Patients captures the tools and practices employed by dozens of organizations in this prerequisite for care management and jumping-off point for population health improvement  data analytics that will ultimately enhance quality ratings and improve reimbursement in the industry’s value-focused climate.